Hardik Pandya got his international breakthrough after playing well for Mumbai Indians. It is a dream of every Indian cricketer to play for his nation as soon as he performs well in the cash-rich Indian Premier League. However, not every cricketer is successful in fulfilling his dream as it demands a lot of dedication and patience. The Indian Premier League has played a major role in giving several young talents to the Indian team. Mumbai Indians have so far remained as one of the best IPL franchise as they have lifted the IPL trophy thrice in 11 seasons. Along with that, MI have also contributed a lot to the nation by giving top class players to the national team. The Pandya brothers are the best example of it is as they gained a ton of boost through IPL. Ambati Rayudu made his T20I debut for India in the year 2014. Mumbai Indians have always bought talented domestic batsmen during the IPL auctions which have earned them success throughout the years. 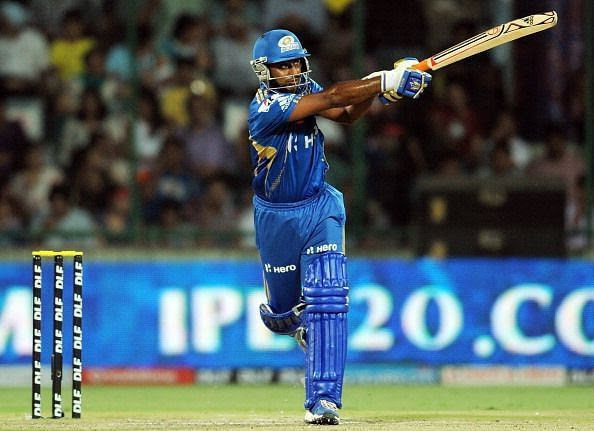 Ambati Rayudu was one such talent that Mumbai Indians bought for the first time in the year 2010. This turned the fate of Mumbai and India as both the teams got one reliable middle order player in their side. Rayudu remained the part of Mumbai squad from 2010 to 2017 and later on joined the Chennai Super Kings. Because of his performances for the Mumbai side, he also represented India at international level in T20s. He made his T20I debut for India on 7th September 2014 based on his previous IPL performances.